The insurance business in India has come a long way since the Insurance Act of 1938. Some of the key milestones in this sector since independence of India would be the merging of all life insurance companies to form Life Insurance Company of India (LIC) in 1956, the merging of all general insurance companies to form four General Insurance Companies (National Insurance, New India Assurance, Oriental Insurance and United India Insurance) and the deregulation of the Insurance Sector in 1999 allowing foreign players to operate in the market. So is this market movement from monopoly to oligopoly really proving to be worthwhile for the Insurance Companies? The ironclad regulations thrown by IRDA from time to time, economic and political pressures and tough competition has made it difficult for the insurance companies, especially the private players, to make any meaningful business out of it. 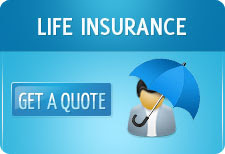 This year we have already witnessed the exit of New York Life Insurance from Max India Limited. Others following suit might be ING and HSBC. Future group also plans to sever its ties with Generali while DLF wants to exit its tie up with Pramerica. Nine of the 23 private sector life insurers, including units of HSBC, Italy's Generali and Dutch life insurer Aegon, lost money in the year ended in March. The joint venture between France’s Axa and Bharti Enterprises, owner of India’s biggest cellular carrier, has never made money. So to revive and attract more investors and foreign partners certain flexibility must be introduced so that the insurers would be able to compete for higher margin and aim for higher penetration. Currently the penetration is only 4.4% in India against 8% in Japan and 9.5% in Britain. Business margin for India is also around 10-15% against 20-25% in China and 30% in Hong Kong. A helping hand would be the recent proposed hike of FDI cap to 49%. It must be allowed to pass without any political mess up. Additionally the IRDA must have a more benevolent approach towards private players. Because of strict regulations, insurance products are mostly similar and hence competition is high. Without the option of product differentiation margins for insurers would continue to be meager.